I guess it stands to reason. Sherwood MP Paddy Tipping pointed it out in a debate earlier. 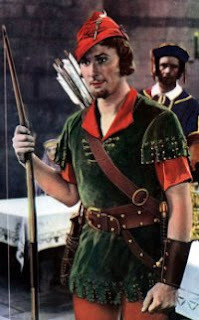 He was arguing for better tourist attractions to be set up at Sherwood Forest for when Ridley Scott’s new Robin Hood movie, Nottingham, is released later this year. “We want people to come and look at Nottingham Castle and admire it and then go from the home of the villain to the home of the free men in Sherwood Forest,” he said. Unfortunately, given that Russell Crowe is playing the lead in the new film, I fear the most any peasant will get is a mobile phone in the side of the head. Waiting for the Sheriff's Commission to report back in the city and for the county Tories to agree to spend money on anything other than currying favour with Conservative voters in readiness for the general election.